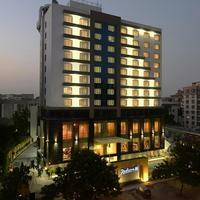 The CarlsonRezidor Hotel Group is one of the leading hotel groups in the world. 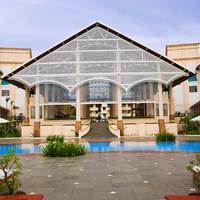 Its diverse portfolio of world-class hotels has made the company a force to reckon with. Having an experience of 75 years, the Carlson Group has created an impact on the industry with its extensive range of brands that emphasize on quality services and a customer-oriented approach. The brand made its foray with the Radisson Downtown Hotel, Minneapolis. This not only marked its entry into the expanding hospitality business but also the start of a long and fulfilling journey in the sector which branched into many more countries like India. 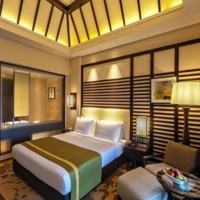 Carlson Rezidor Hotel Group’s extensive range of brands is aimed at providing excellent services in the upper mid-scale and luxury categories. Almost every Carlson Hotel brand pays special attention to the comfort of guests, with a dedicated team offering best-in-class concierge services. One of the Carlson brands that stand out the most is Radisson RED that is centered on the theme of art, fashion, and music. Carlson hotels understand and fulfill the needs of every traveler, which is why the brand is well-acquainted with the various elements that contribute towards customer satisfaction. These include wellness services, recreational facilities, and a special work-conducive environment for those with business commitments. A globally recognized name in the hospitality sector, Carlson Hotels has also carved a niche for itself by proving to be a favorite with those looking for event venues. The brand is well-equipped to arrange business meetings and gatherings as well as large-scale events like weddings and exclusive parties. Moreover, you could even plan your event effortlessly with help from Carlson Hotels’ event planners or avail of tailor-made party packages for convenience. 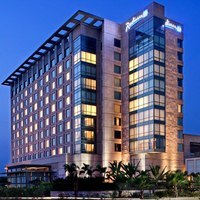 The Carlson Rezidor Hotel Group proudly heads close to 40 hotels in 1 countries. 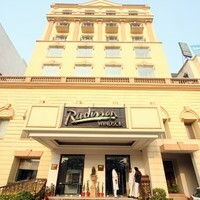 This number is exponentially increasing with major expansion in process under its brands Radisson Blu, Radisson RED, Quorvus Collection, Radisson, Park Plaza, Country Inns and Suites by Carlson, and Park Inn by Radisson. 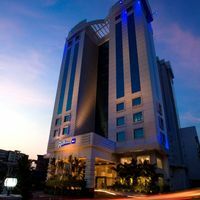 The Carlson Rezidor Group also plans to open 16 hotels by 2017 in India in locations like Coimbatore, Kota, Pune, and Chandigarh, among other places. To become a privileged guest of the Carlson Rezidor Group of Hotels, you can sign up for its loyalty program. This reward program offers exclusive benefits and deals to make your trip even more exciting. 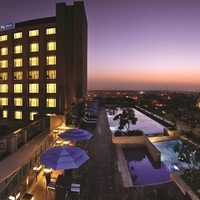 Book with the Cleartrip app to ensure a convenient trip and also get the chance to avail of exclusive travel deals. The app’s new pay@hotel feature also gives you the chance to make direct payments on check-in for a hassle-free stay at your preferred hotel.